A simple finishing hole in terms of what is in front of you. 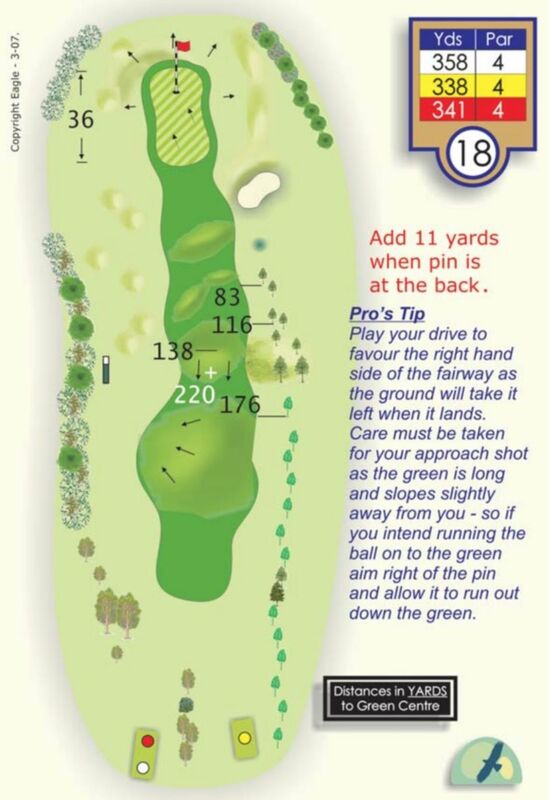 Play to the right side of the fairway to allow you a chance to see this long narrow green. Take caution with your choice of club for your second shot the slope plays steeper than it appears.